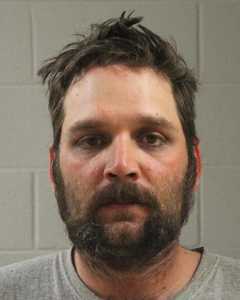 HURRICANE – Jonathan Shon Forest, who was arrested March 11 for robbing the Hurricane Family Pharmacy in Hurricane, was charged Wednesday in connection with another robbery at the same pharmacy that took place on March 31, 2014. Since the most recent robbery of the Hurricane Family Pharmacy, located at 25 N. 2000 West, detectives have gathered information and evidence linking Forest to the 2014 robbery, Hurricane City Police Sgt. Brandon Buell said in a press statement issued Wednesday evening. Forest was charged Wednesday with one first-degree felony for aggravated robbery, 10 third-degree felonies for aggravated assault and nine counts of possession of a controlled substance. The Police Department is asking anyone with any information relating to either robbery to contact the Hurricane City Police Department at 435-635-9663.